Several years ago I picked up an ESEE 3 knife for use as a bushcrafting neck knife. It is tough, keeps an edge, is light weight for its size and actually fits my large hands. 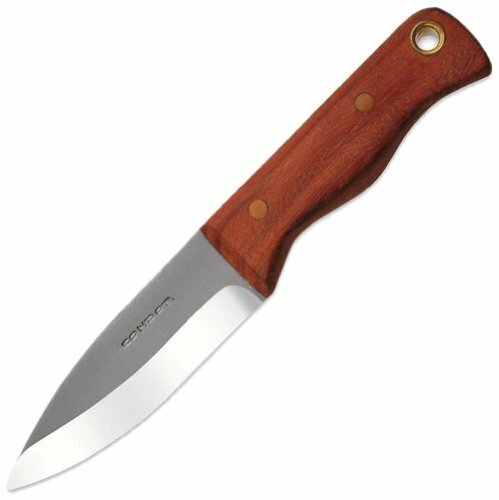 There are all sorts of reviews and perspectives on this knife floating around the Internet. What I wanted to do was to show you how 3 years of hard bushcrafting use will do to this knife and how a few good accessories will make this a phenomenal field tool. First off, let me talk about the knife. 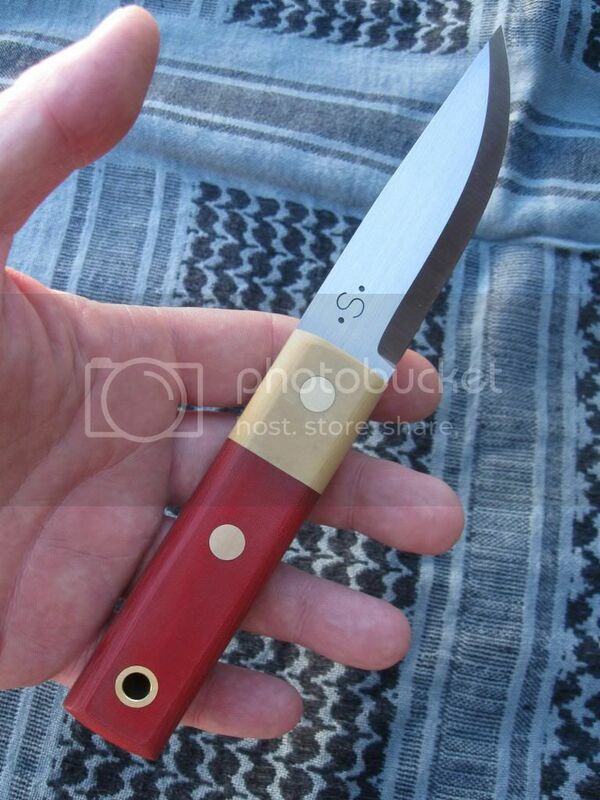 I got this as a NIB “catch and release” from someone who did not like the weight or narrow stature of this knife. This allowed me to get it at about 60% of the normal cost without it having ever been used. It was still in the plastic that it was shipped in. This is important to note because all the wear and tear you see was done by me in the woods. 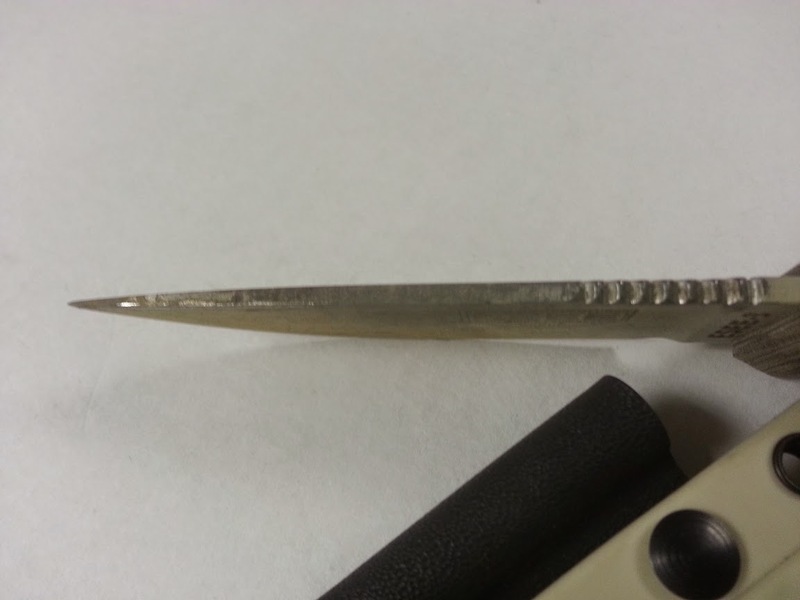 When it came to me I found that it had some sort of odd coating over the entire blade, excluding the sharpened edge. This made it impossible to use as a striker or to get a spark off a firesteel. I went ahead and squared off the spine of the blade and made it capable of use with a firesteel. This was the only modification I made to the knife itself. The other accessories that I got that made this the great field tool that it is were the ESEE sheath and a firesteel from Grizzly. 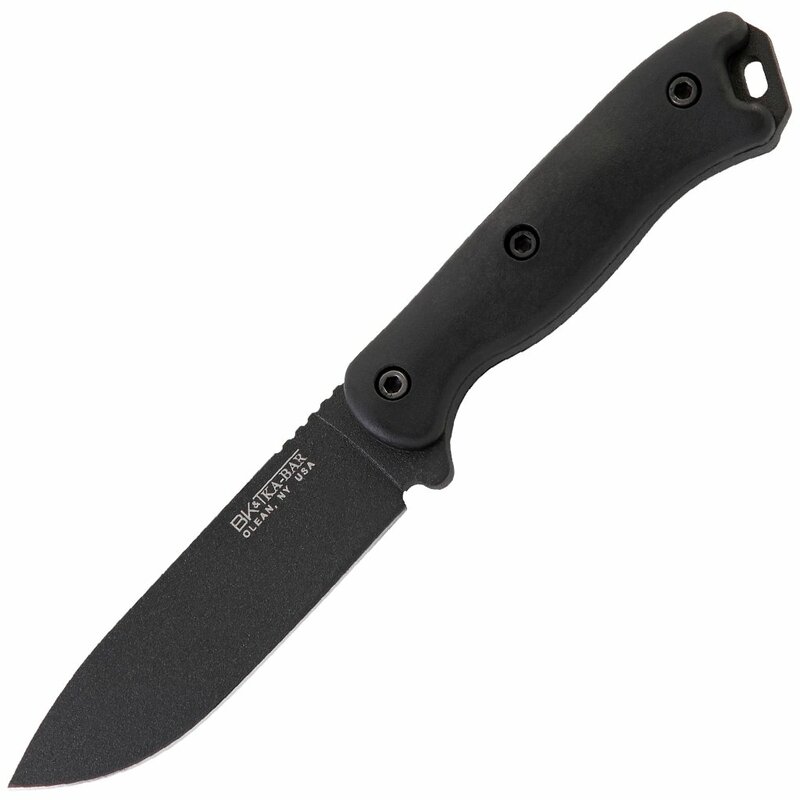 The sheath is very well constructed and has an internal tension type retention for the blade. It will hang upside down all day long without issue, but will pop right out with only a little pressure from my thumb and a pull. It also does not rattle at all in the sheath while hiking, hunting or general be-bopping around in the woods. The firesteel stays in place very well in the molded Kydex attachment. 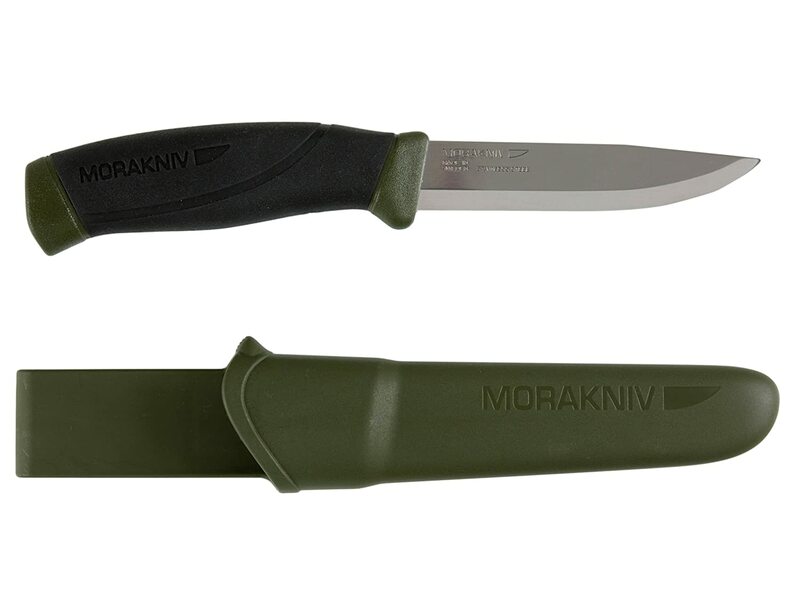 All being said, this is a very nice setup for someone wanting a dependable field knife. As you can see from the pictures, I have used the firesteel quite a bit. It is not a tough as one of the H60’s, but it is a close second. I would not hesitate to use this as my primary fire igniter or as a secondary system in case something happens. 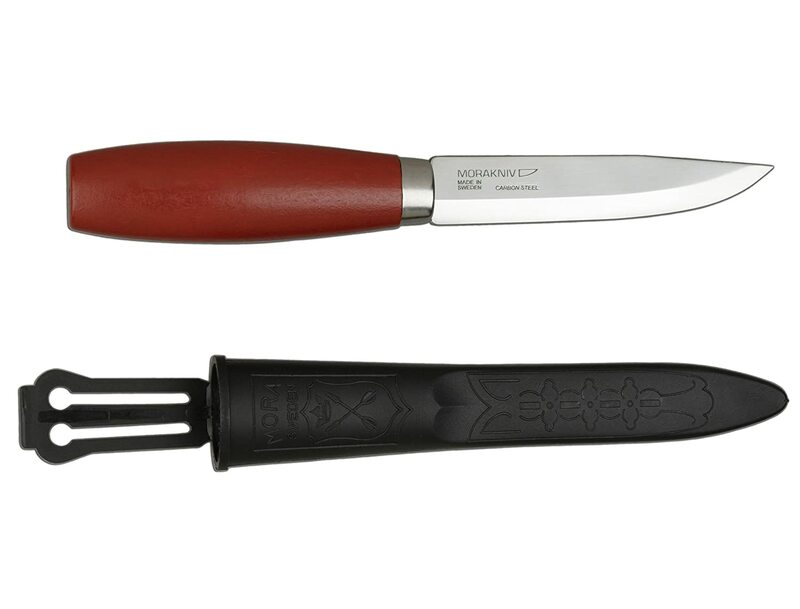 There are clips for the sheath that allow you to carry the knife in a variety of ways. Since I wanted something that I could slip around my neck for any number of outdoors activities like duck hunting or general camping, I opted for a neck carry. As time as gone on, I am now considering getting a clip to attach this knife to my tactical chest rig. Only time will tell if I move forward with that plan, but it is definitely something that I have been considering. I can not speak highly enough of this configuration. 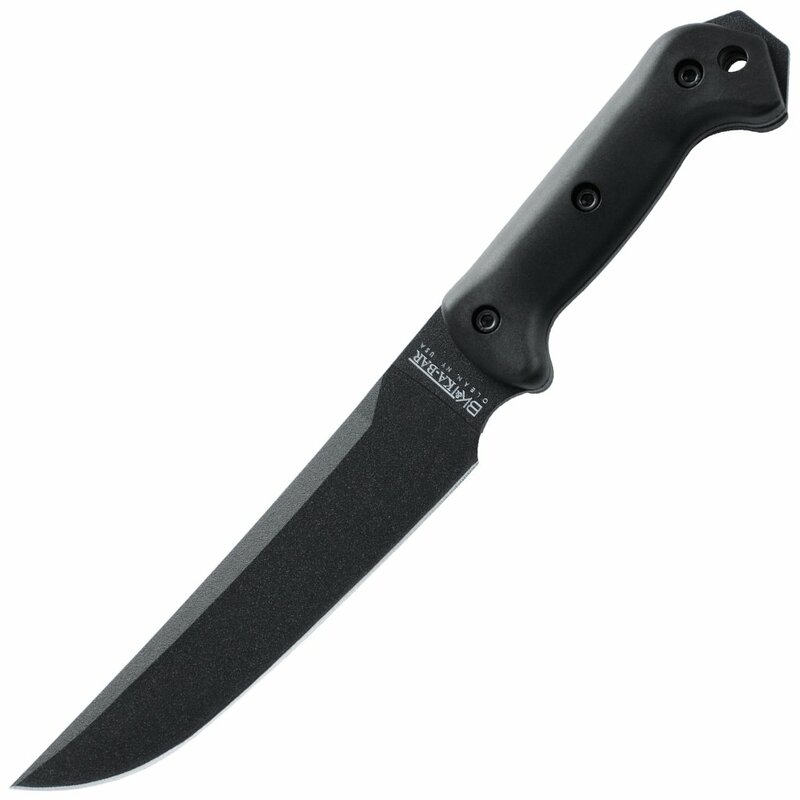 For less than $150 you can get a screaming deal on a knife configuration that will last you a lifetime if you take care of it. I highly recommend this for anyone looking at a production type field knife. 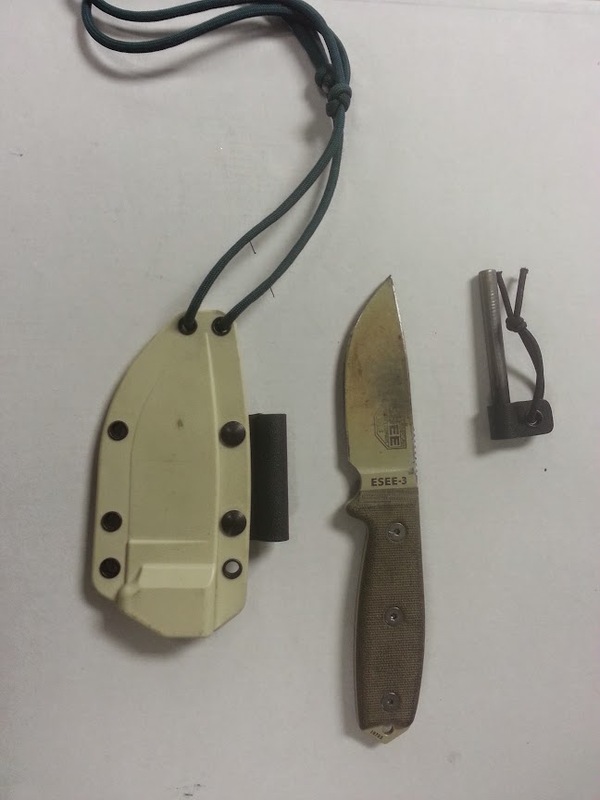 This entry was posted in Edged Tools and tagged bushcraft knife, ESEE, ESEE 3, ESEE sheath, field knife, Grizzly firesteel, Grizzly sheath on November 17, 2014 by Woodsbum.